Every room is a combination of the essentials that make it work and the decor that makes it beautiful. 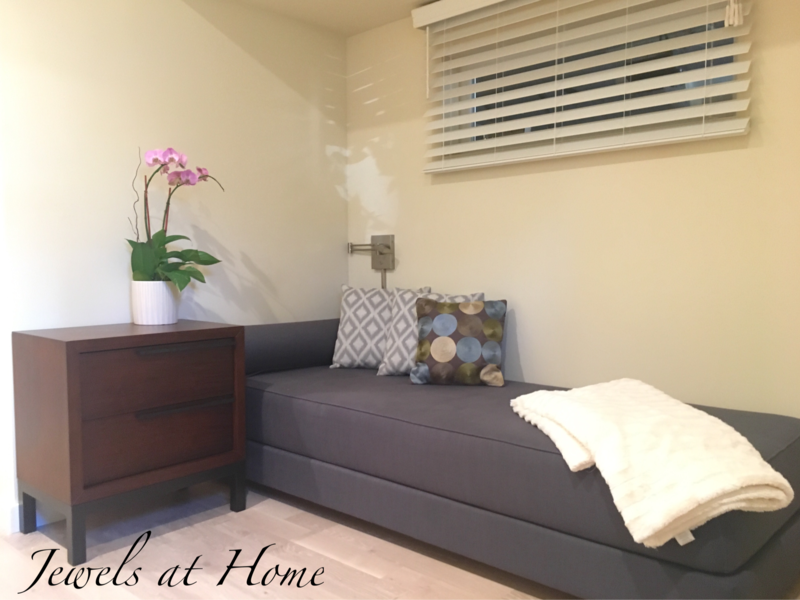 These elements are so important in a guest room, where you want your friends and family to feel both like they’re as comfortable as they are at home as well as transported on a great adventure. 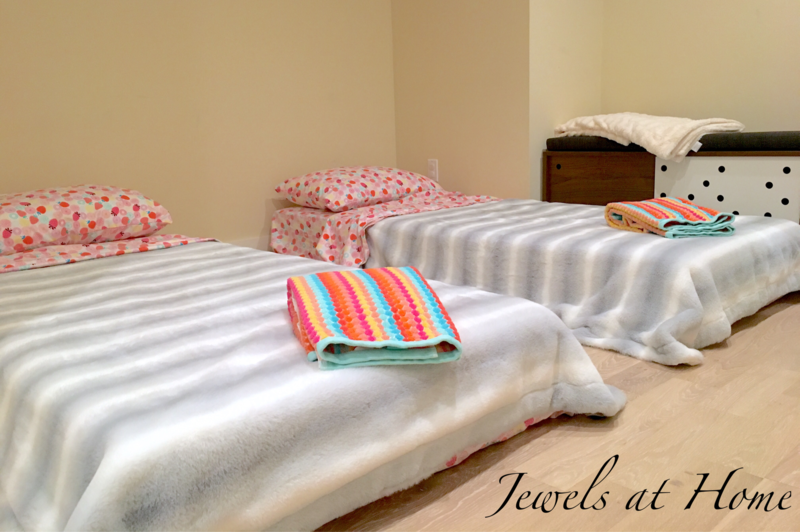 When we finished our basement, we built in a small and cozy guestroom. When my sister planned a visit, I was motivated to finally finish decorating it. 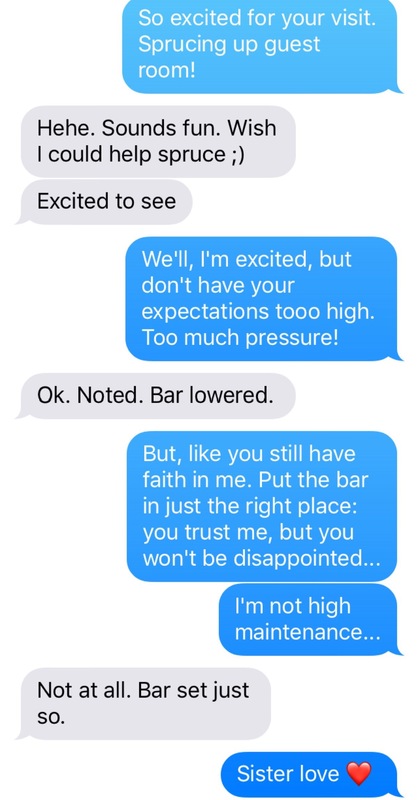 Luckily, I have a very understanding, sister – see? First, the essentials, and then onto the fun part – decorating! 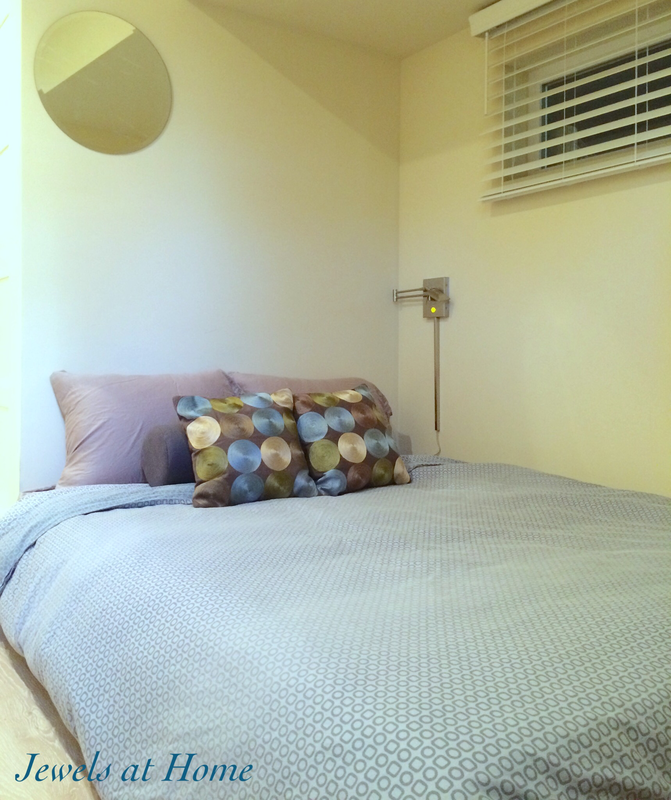 Bed – I love using a daybed in the guestroom. It serves as a sofa, when you don’t have guests. It works as a single bed, and then with a trundle or sleeper sofa, you can also accommodate couples. Ours is the Lubi Sleeper Daybed from CB2. Bedding – I splurged on a memory foam topper for our guest bed, to make sure that weary travelers get a good night’s rest. Toiletries – I’ve saved a few travel toiletries and display them in these upcycled jars for our guests to use. Reading lamp – in a small space like ours, a wall-mounted swing arm lamp like this is a great idea. 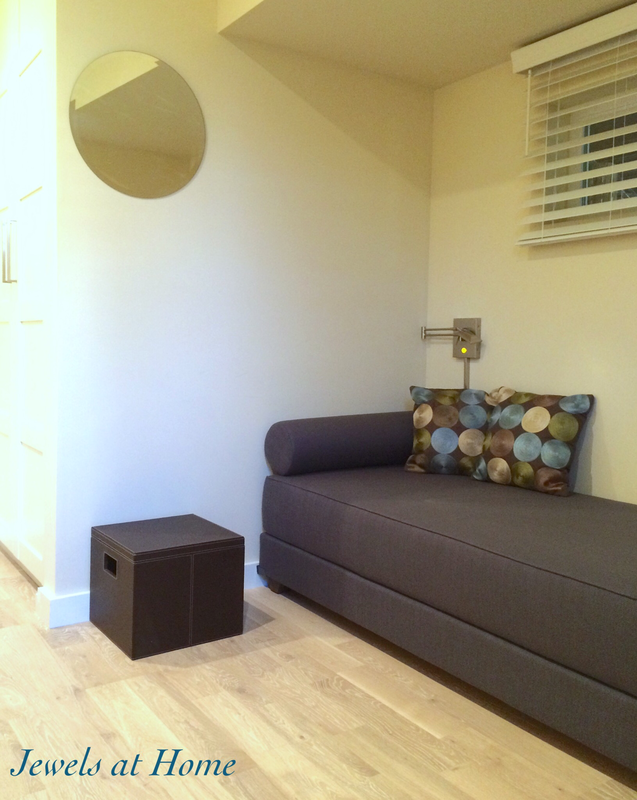 Closet – even if you’re using the guest closet for storage (who isn’t? ), clear out a little space to help family and friends feel settled in. If your guests include kids, a step stool will make their visit more comfortable. 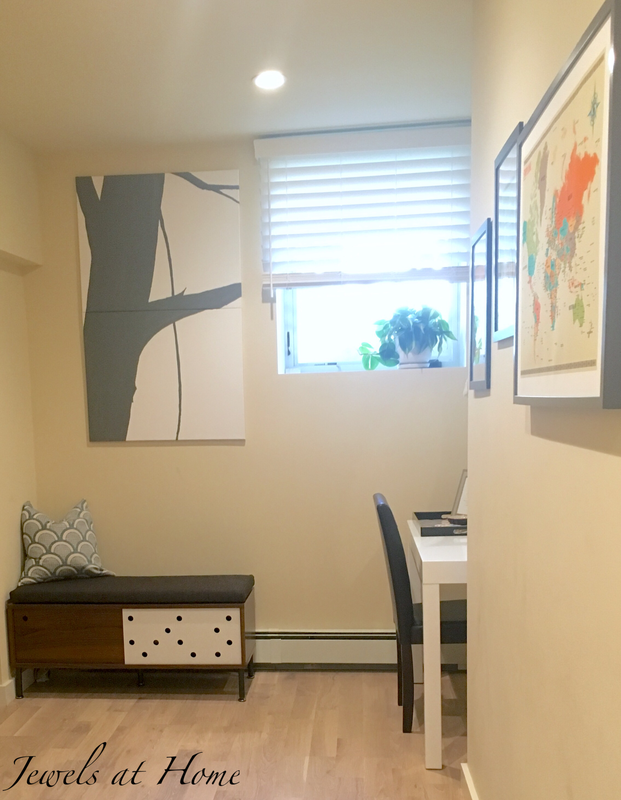 Window coverings – it’s important to have good like control in your guestroom, since you may have visitors who are jetlagged and need to sleep when it’s light outside. 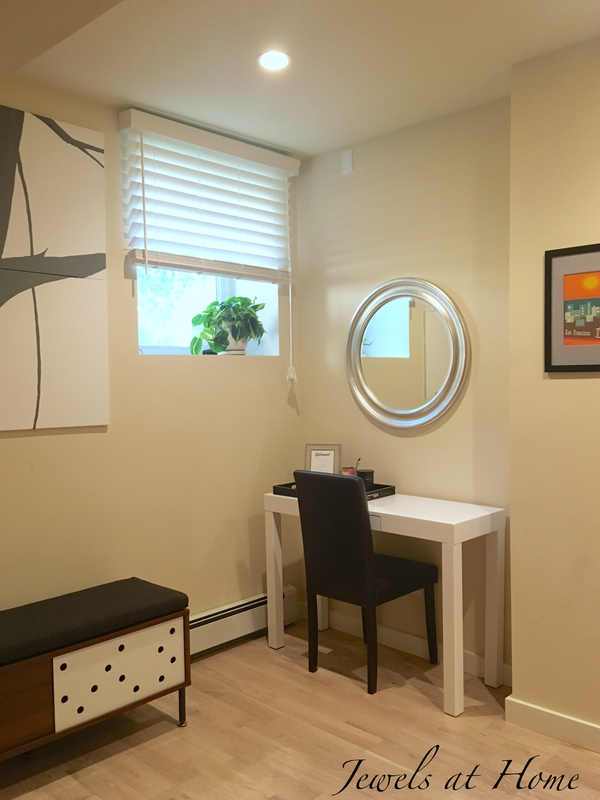 Our guestroom is in the basement, which means that the windows are at ground level, so these wood blinds were the perfect solution for privacy and light control. A mirror is also a great addition to any guestroom. 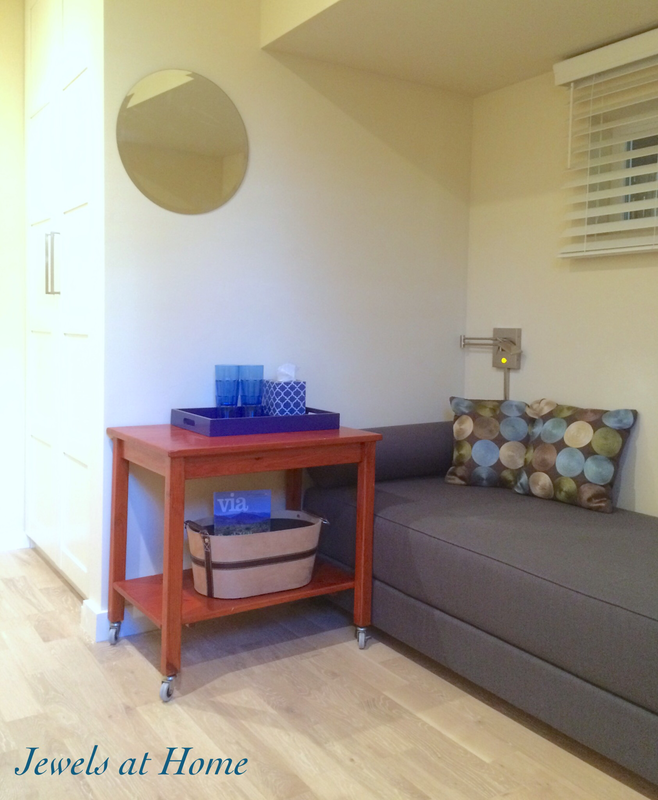 In our case, the mirror also helps bring more light into this basement bedroom. 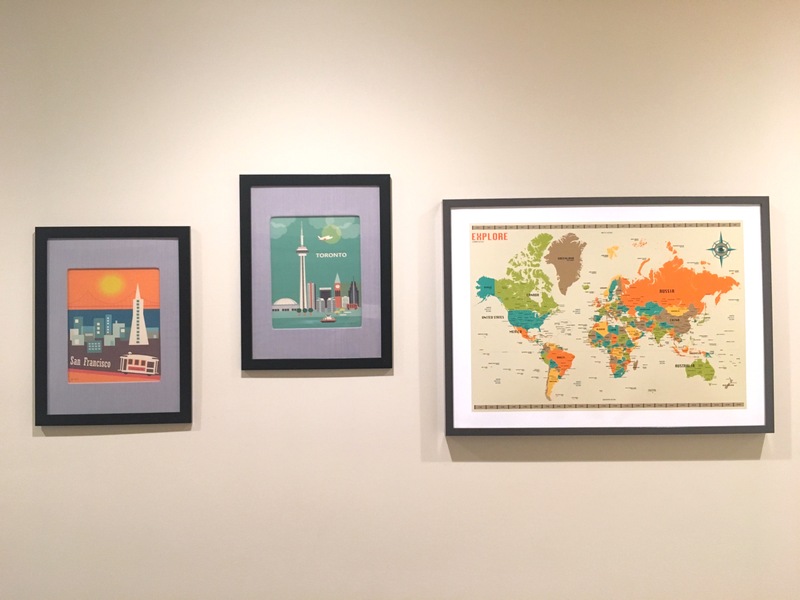 I added some travel themed art that had been up in the boys’ room before they switched over to superheroes. Finally, I love this oversized map where all of our guests can mark their hometowns. We look forward to welcoming more friends and family to this home sweet away-from-home!